Situated in the heart of the Cotswolds at Bourton-on-the-Water, the 300 year old Grade II listed Cotswold Perfumery building, offers two luxury Five Star Gold Award apartments, overlooking the village centre and River Windrush. The integration of lighting techniques that would best reflect the quality of the Perfumery and provide a personalised and intimate residential experience was of paramount importance to the client, with the intention to encourage visitor’s to stay over in Bourton and perhaps use this location as a base to explore the area. 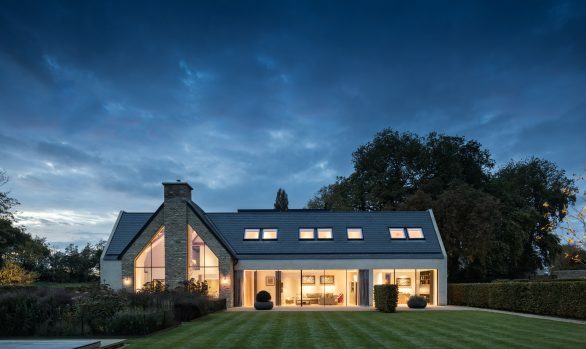 dpa worked very closely with the client, who undertook all of the electrical installation works himself, to provide an imaginative lighting scheme that would serve to highlight the key architectural features and compliment the modern interior design colour palette, materials and furniture. A radio controlled lighting control scene set system was ideal for the project as this reduced the extent of cabling required through the deep load bearing walls and the general disturbance of the building fabric. The visitor can select from a number of lighting intensities/scenes to coincide with the time of day and natural light ingress in to the space.